In Firefox for Android, navigate to https://addons.mozilla.org/android, search for ixquick, and install the Ixquick HTTPS Privacy Search Engine add-on in the usual manner. Once you've done that, tap on the Menu button in Firefox and choose Tools | Add-ons. Tap then the Ixquick HTTPS item and tap the Set as Default button. 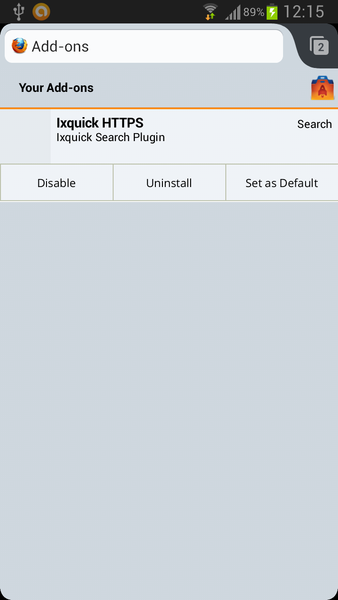 From now on, Firefox will use Ixquick for all searches.